Chohei Miyazawa 1993 18 72 7054 30 minutes from downtown. Designed by Chohei Miyazawa and opened in 1993, the Royal Golf and Country Club is located near the new International Airport within easy reach of Bangkok’s main business district. Perfect for all standards of golfers, the 18-hole course is fairly flat, has spacious greens and utilizes water hazards on all holes. 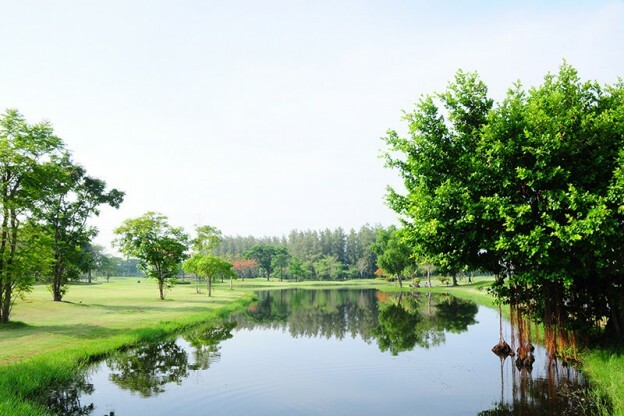 In harmony with the natural scenery, shimmering lakes and a well-designed landscape this course is a delight to play. The clubhouse has excellent facilities with a good international restaurant.